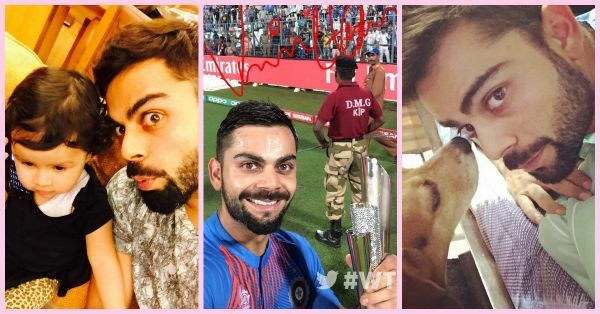 11 Reasons Virat Kohli Would Make An AMAZING Husband! 2. He gave it off to all his fans who were bad mouthing Anushka Sharma because it was the right thing to do! 3. He's a winner, through and through! No difficult situation can scare him away! 5. He stands for the right things and knows exactly how women should and shouldn't be treated. 6. Because he's… Uhm… Well… YUM! 7. He understands the importance of family! 8. He's also quite funny, so life will never be boring with him! 10. Let's be honest, he's a PRO at clicking selfies. You would have the best couple pictures! 11. He'll never run out of passion for what he does! MUST-READ: 5 Reasons We’re Convinced Shahid Kapoor Is An AMAZING Husband! MUST-READ: 6 Times Shahid And Mira Made Us Go Aww!